Infusaport infusion is similar to infusion. An infusaport is a small device which is used to give medications direct into the patient’s blood circulation.. This port is used for taking more than one medication and nutrients in one way. This port is mostly used in chemotherapy treatment because patient needs frequent medications in chemotherapy. This port is used when medications are used over a long period of time. Infusaport also used to take number of blood samples for blood tests. Infusaport consist of 2 parts, port and catheter. Port is made of metal and plastic, having chamber of medications. This port is placed under the skin through minor surgery. Most common area used for the insertion of port are placed in the chest but can also placed in the arm. 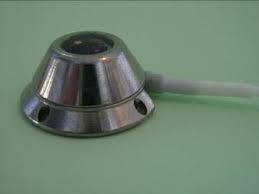 This port is placed in deep sleep, so that patient does not feel pain. Second, it may also be placed by numbing the specific area where the port should be placed, patient may also wake up and relax to take multiple medications. After the port is placed , patient may go home. The port can be felt under the skin. After placement, it will not hurt. Insertion of infusaport catheter is done in operation theater, when patient undergo sedation or on general anesthesia. Before giving multiple medications, small catheter is attached to the reservoir and is placed under the skin also with hollow tube catheter placed inside the veins present in chest area. X-rays are used to check the position of the catheter. Heparin is injected to avoid clots formed in catheter. Chest X-ray is performed right after the insertion. After insertion , it can be used multiple times with a specialized needle. It should only be operated by specialized doctors or trained nursing staff. Pain is usually associated after the insertion, but gradually decrease with time. Infections occur and are treated by antibiotics but it may also result in removal of catheter. Bleeding may start during insertion but it may be stopped by applying pressure. Blood clots formation in catheter is very common, due to this new port should be inserted. Sometime the end of catheter breaks off, this results in removal of catheter. Sometimes yellow or green drainage starts from port site. Swelling and warm feeling may also felt at port site. Sometimes entry of needle in lungs cause damage to outer lining. When port is not used, Patient should take shower or bath but keep the dressing dry. Dressing should be present over the wound till the healing process isn't complete. Sterile dressing will be used strictly around the port to avoid infection. When healing process will complete patient may come to normal life activities. Port can be used for a long time but When patient does not used port for a long time not taking medicines, should be removed. Catheter should be flushed with heparin to avoid blood clots in the tube. Port can be used at home or in hospital. Port should not be removed if they are not infected or not used for a long time. For the removal, adequate anesthesia is applied and given to soft tissues making sure that the skin over the veins and tissues is well anesthetized. The skin over the port site i.e. area of entrance into the veins is prepared by povidone-iodine and alcohol making the area sterile. Sterile wipes and towels must be used to keep area clean & free from infection . Pull the catheter with enough tension so that the catheter release without damaging tissues. Do not apply much tension that the catheter breaks.